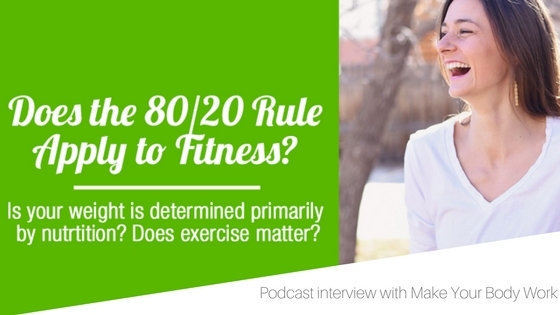 I’m sure you’ve heard of the 80/20 rule. The 80/20 rule, also called Pareto’s Principle, plays out all around us. It is the theory that around 80% of the outcomes come from 20% of the work. For example, 80% of business sales come from 20% of the most loyal customers. Or 80% of work completed by a team comes from 20% of team members. I usually use this rule when it comes to food indulgences, 80% of the time eat clean, whole, real foods and 20% of the time let your guard down and dive into some tasty treats. 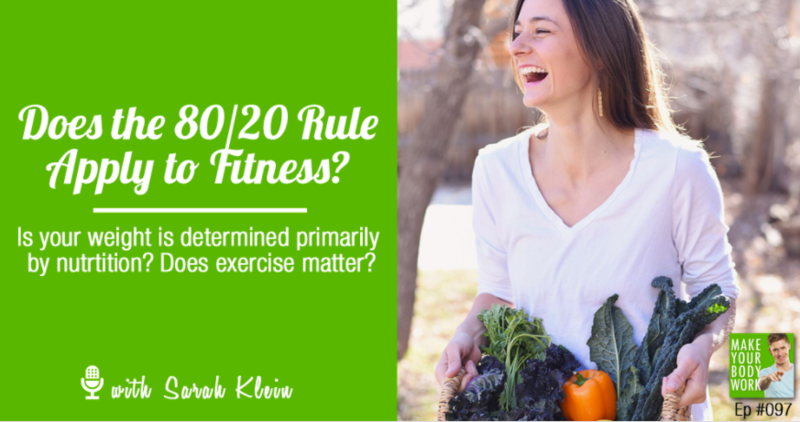 Have you ever heard the 80/20 rule used to compare nutrition verse fitness on weight loss? Well, this is what Dave, from Make Your Body Work and I chatted about on this podcast. So what do you think? 80% of your weight is determined by what you eat, and only 20% by how you move. Is that true? Get access to the free 7-day clean eating, movement & mindfulness challenge HERE. Meal Plan included! 7 Days to a Healthier & Happier YOU!